Auction house Bonhams is hosting the Fine Leica Centenary Sale in Hong Kong this Saturday, November 29. The auction spans most of the brand’s history, including cameras from the early 1930s through 2014. There are 84 lots total. Two of these are Leica ephemera (an advertisement and a display sign), seven are lenses, and the remaining 75 are camera bodies, bodies with lenses, or self-contained cameras. 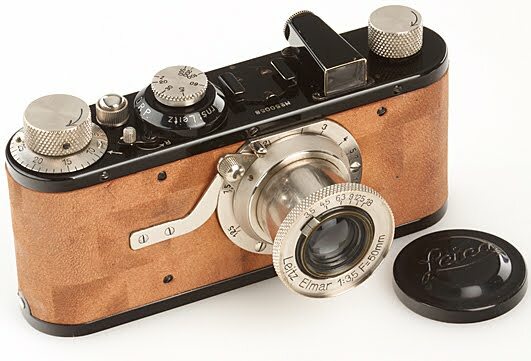 Included in the auction is one of a collection of 16 Leica M6 TTLs, (shown above), made for Sheikh Saud Bin Mohammed Bin Ali Al-Thani, the one-time owner of the world’s most expensive watch. 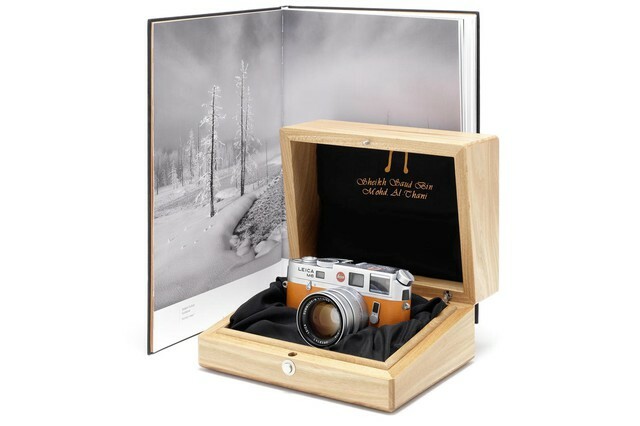 Sixteen Leica M6 Al-Thani cameras were made to be used as prizes for the winners of the annual Sheikh Saud Bin Mohammed Bin Ali Al-Thani Photography Competition held in Qatar. This camera was won by Robert Fulton of Scotland for his image “Winter Trees,” which was the overall winner of the Al-Thani Grand Prix 2013. 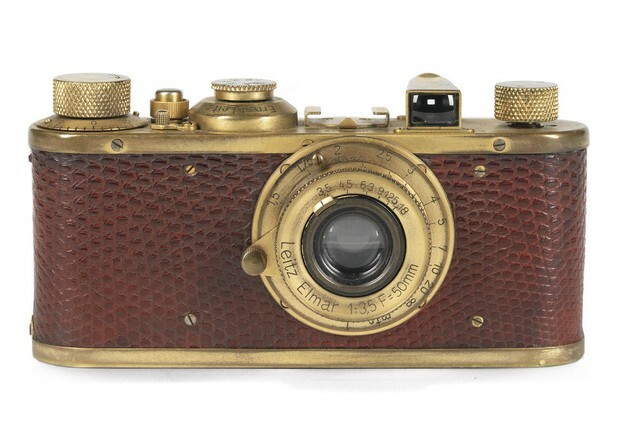 This camera is believed to be only the second example to have been offered at auction. It is expected to fetch $40,000 to $57,000. In addition, Bonhams is also auctioning a Luxus Leica, with gilt top and base plates and fittings, red faux snakeskin body covering and matching Elmar f/3.5 50mm lens, the camera that started the over-the-top Leica luxury edition craze some 90 years ago, proving that arguably tasteless collector editions have been part of Leica’s DNA since the beginning. It’s expected to fetch between $480,000 and $640,000, exclusive of Bonham’s 25% commission. 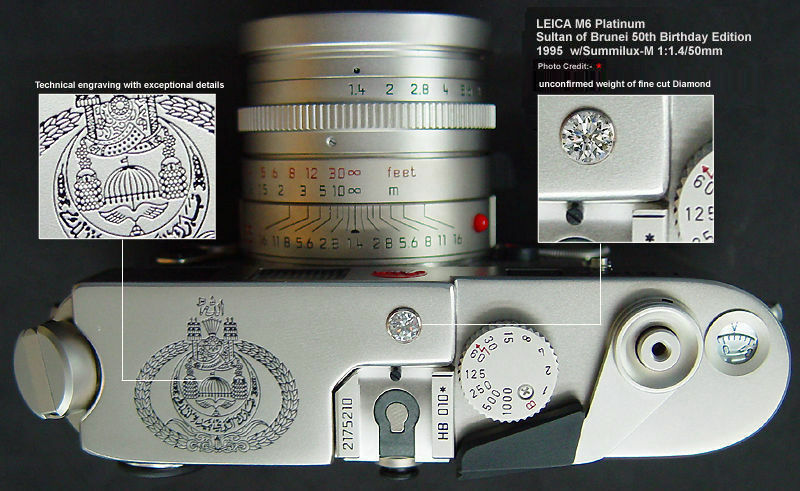 This entry was posted in Famous Leica Users, Film photography and tagged collectible leicas, luxus on November 27, 2014 by Leicaphila.